Catherine Rzepka Platnick joined OSMC in 1997 as a Physician Assistant to Dr. Edward Holt, orthopaedic surgeon, who specializes in care of the foot and ankle. Catherine received her undergraduate degree in Bilingual Medical Health from Ithaca College. Catherine then went on to complete her Physician Assistant degree from the University of Florida. Catherine is a member of the American Academy of Physician Assistants. Catherine works closely with Dr. Edward Holt in our Annapolis office where she assists with history and physicals, patient office visits, and surgeries. 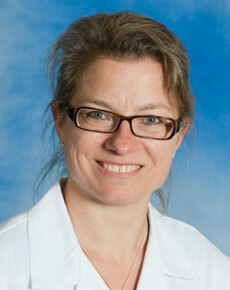 Catherine also educates patients regarding exercises and care of the foot and ankle, pre- and post operatively.